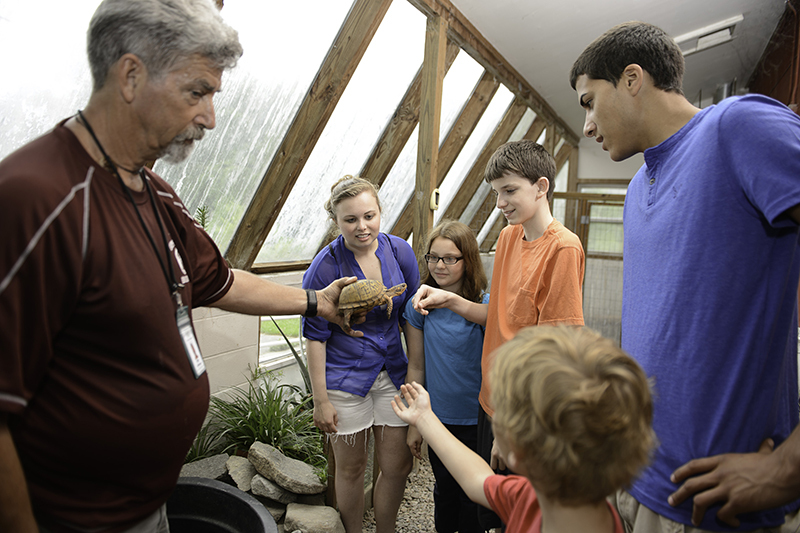 The Wildlife Rehabilitation Program serves as a great compliment to the mission of Waterford Country School. The Program provides a model for children in treatment as they observe animals coming to a nurturing environment and being released into the wild. What does the Wildlife Rehabilitation and Nature Resources Program consist of? A Children’s Farm Tour and Mobile Farm Presentations which include a variety of tame animals, from rabbits and llamas to snakes and exotic birds. What do I do if I find a sick or injured animal? Waterford Country School is able to help, simply call 442-9454 x 4270 and explain the situation. A licensed animal rehabilitator will access the situation and provide instructions. How do I schedule a farm or Nature Center Program? Individuals and groups are invited to contact the Experiential Education Center to discuss programs that are available for community participation. Interested groups should call 442-9454 x 4270.